Love People. Cook Them Tasty Food. Last night, I was in the mood for some good old fashioned comfort food, and figured I’d make a pot pie recipe. But rather than making one big pot pie, I decided to try my hand at individual pot pies, which admittedly aren’t vastly different than making one big pie. 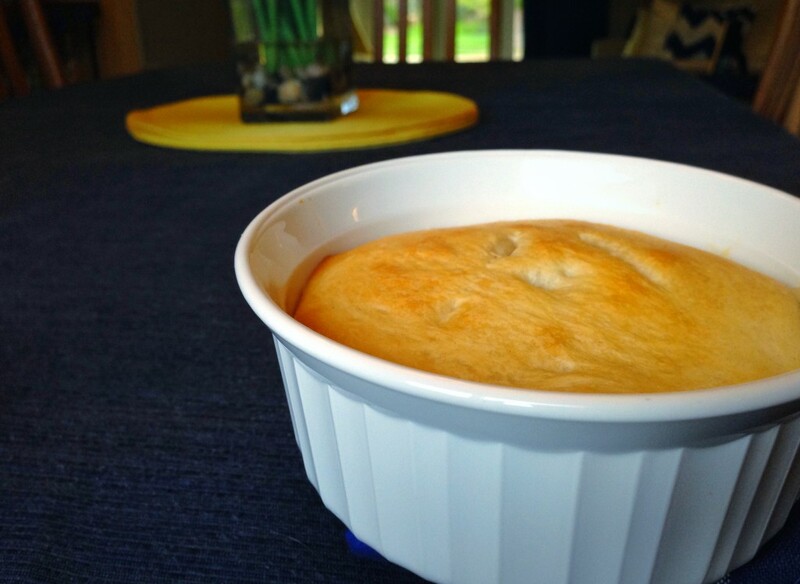 I joined together two recipes — a Healthified Pot Pie recipe (one of my favorite recipes) for the fillings, and a recipe for Individual Pot Pies from the Pillsbury website, which uses its Grands! Flaky Layers biscuits for the top/crust. Even though part of the recipe was from an existing recipe I’ve made before, making them individual and trying a new top/crust method seems to warrant a legitimate entry into my 50 in 15 Challenge. The end result of this recipe was absolutely delicious. It’s healthy, warm, comforting, and topped with the deliciousness of flaky biscuits. You will definitely want to make these pies the next time you’re in the mood for some comfort food! For quite some time, one of my culinary goals has been to make my own homemade pasta and fresh homemade marinara sauce. The trouble is that most of the “homemade” recipes for marinara sauce call for canned tomatoes, which in my mind isn’t truly and authentically homemade. Luckily, I came across a great recipe for Homemade Tomato Sauce that I ended up using. It took time and patience to prep and make, most notably when peeling and seeding the tomatoes. But I think that the end result was worth it. It’s 100% homemade (no canned tomatoes), healthy, and delicious. And it’s not only another check off of my list of culinary goals, but is also another addition to my 50 in 15 Challenge. 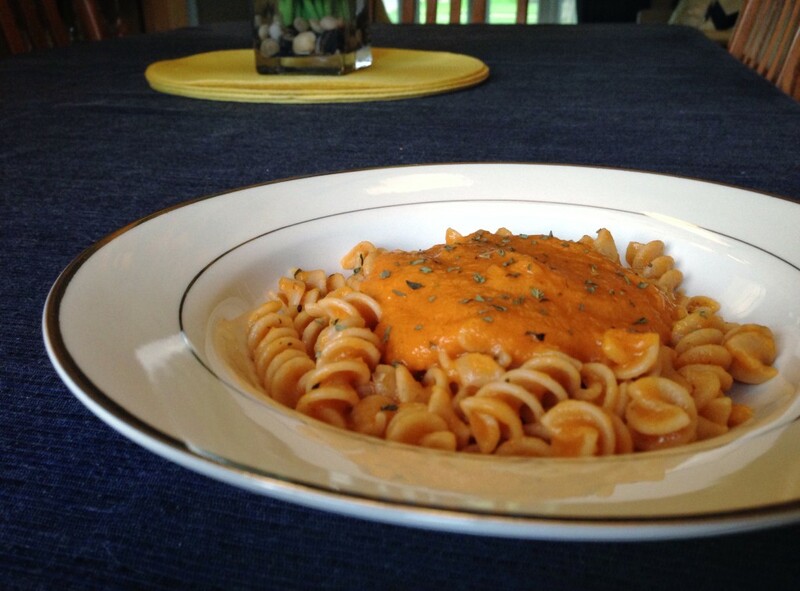 One thing that I must admit is that my first go-round making this sauce ended up being a bit bland, most likely because I used the smaller amounts of onion, garlic, and herbs, as listed in the ingredients list. It wasn’t by any means bad, but did result in me needing to add in some flavor after-the-fact with additional dried herbs and garlic powder. If you’re in the mood for some amazing marinara sauce and want to spend some quality time in the kitchen with a bunch of fresh tomatoes and herbs, you’ll definitely want to try this recipe. After a few cooler days here in Michigan, with the feel of fall in the air, I was inspired to try a new chili recipe, both for a change of pace and also for another recipe to add to my 50 in 15 Challenge. I did a bit of poking around at various black bean chili recipes, and found a few that I liked. Rather than just picking one, I ended up making a recipe that was a combination of all of them. 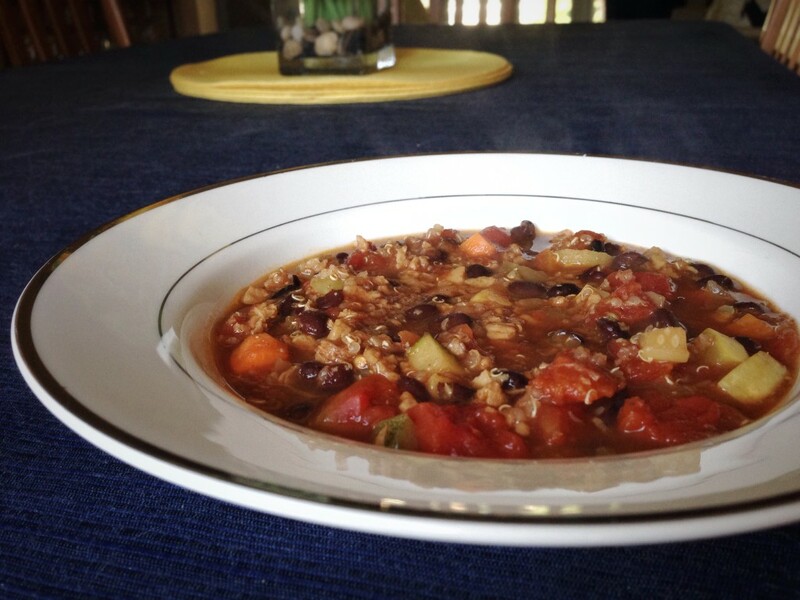 The end result was a phenomenal, hearty, and healthy chili that’s sure to please. Even though it’s vegetarian, the inclusion of quinoa and soy burger crumbles help make it more hearty. And dare I say that if you don’t tell anyone what kind of “meat” it includes, they won’t notice the difference. If you’re looking for a new chili recipe, do yourself a favor and give this one a shot. It pairs swimmingly with some homemade Sweet Cornbread Muffins, and is a definite winner for football season and the chilly months to come! While at the grocery store a few weeks ago, I picked up the September issue of Cooking Light magazine, being intrigued by the cover photo of “One-Pan Broccoli-Bacon Mac ‘n’ Cheese”. Knowing that my wife loves mac and cheese (and bacon), I knew I had to give the recipe a try. I modified the recipe a bit to suit my needs — most notably leaving the bacon off of my serving (since I’m vegetarian). Also, I used vegetable stock rather than chicken stock, and opted to use whole-grain shells rather than macaroni, because let’s be honest… macaroni is such a cliché pasta. To say that I was pleased with the end result would be an understatement. Both my wife and I immediately fell in love with this dish, despite both of us being tentative about how the inclusion of butternut squash puree would play out. But in the end, I’d definitely make this recipe again. It was a fantastic, warm, and flavorful comfort food, perfect for a chilly September football Saturday dinner after watching our University of Michigan Wolverines win their home opener against Oregon State. And it was yet another great addition to my 50 in 15 Challenge. 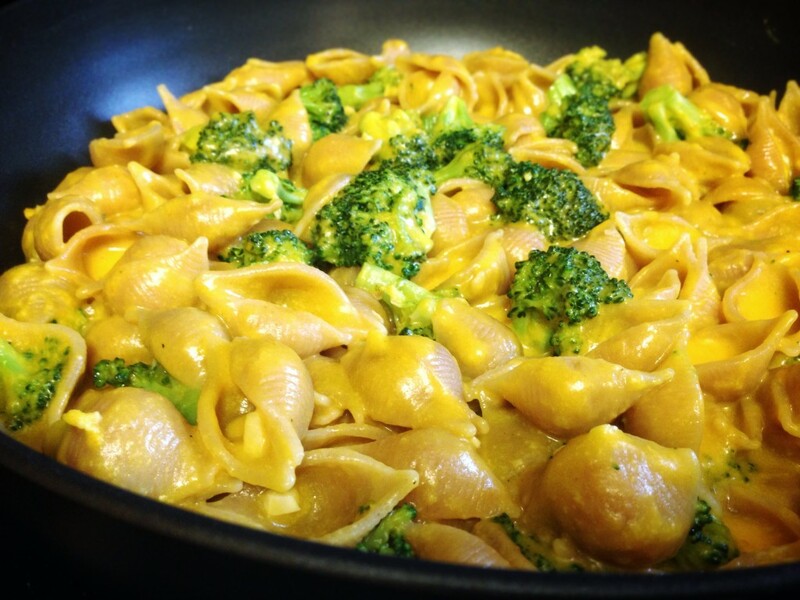 If you’re looking for a slightly lighter and healthier homemade “mac” and cheese recipe, give this one a shot. You’ll be glad you did! Today, I was really craving some vegetable sushi rolls. As it happened, I had some spare time in the evening, and being in an experimental mood (and wanting an additional recipe for my 50 in 15 Challenge), I decided to try my hand at making some myself. I had absolutely no idea where to start, so I did what 99% of people do — I turned to Google. Luckily, I found a lot of websites that had step-by-step instructions for how to make sushi rolls. 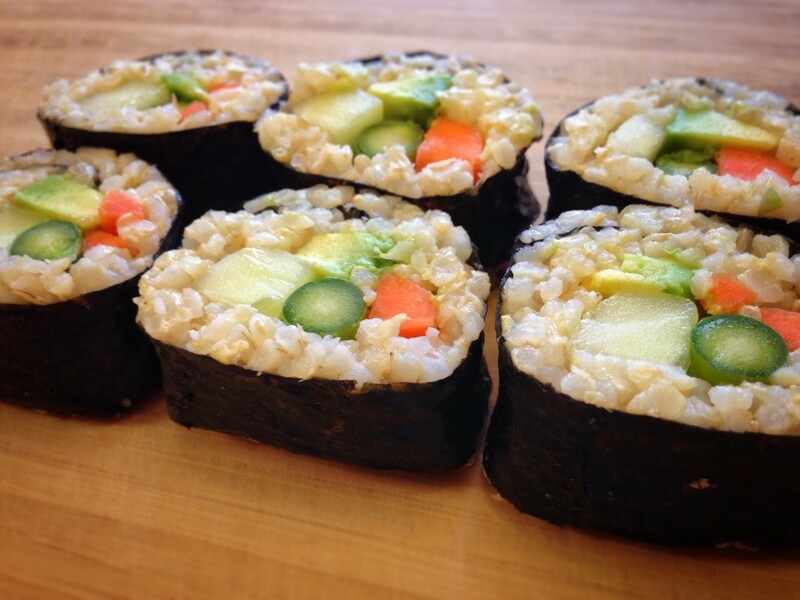 The one I ended up using as my go-to guide was Vegetarian Sushi for Beginners: How to Create a Basic Sushi Roll. While I stuck to the instructions religiously, I did make one change as I swapped out the cream cheese for asparagus. But other than that, I did everything the same. I must admit that I was hesitant to try my hand at sushi. For one, I didn’t have a bamboo rolling mat, and ended up using a piece of wax paper instead. Also, I’m notorious for over-filling dishes that get wrapped or rolled, like burritos, ravioli, calzones, etc. Despite any hesitation and fear that I had going in, I must say that after all was said and done, I was absolutely floored with the result. It took time and patience to make these rolls, but it was definitely worth it. They are flavorful and delicious, and are a great healthy meal (or side). If you’re a fan of sushi, give these a try. I think you’ll be pleased with the results! Copyright © 2019 The Cordial Chef. All Rights Reserved.